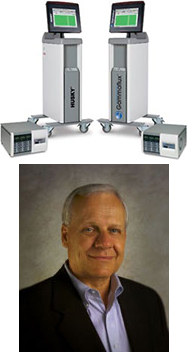 "For over 20 years, Husky® has sold thousands of Gammaflux hot runner temperature controllers to its customers worldwide. These controllers were 'private-labeled' by Husky®, so although they had the Husky® name on them, they were manufactured and in many cases serviced by Gammaflux. With their recent acquisition of Moldflow's Manufacturing Solutions Unit, which includes the former MSI brand of hot runner temperature controllers, Husky® has decided to bring hot runner temperature controller production in-house. This means the long-running Gammaflux/Husky® OEM relationship is coming to an end. Going forward, Gammaflux is ready, willing and able to service all Husky® accounts that are using Gammaflux brand controllers. Our service engineers will work to ensure Husky® users are getting optimum performance from their Gammaflux products. For future hot runner controller purchases, Husky® users can now buy directly from Gammaflux to ensure they are getting the highest hot runner control technology possible, and to ensure they are producing the best quality plastic parts." * - 'Husky®' is a registered trademark of Husky Injection Molding Systems Ltd.